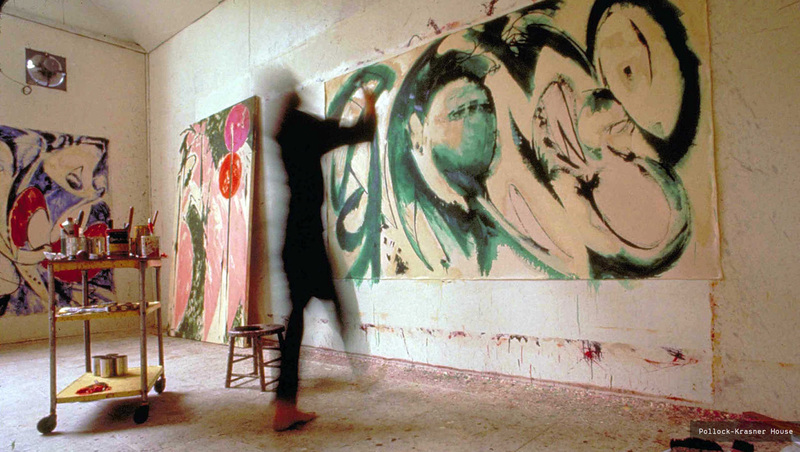 Lee Krasner: Artist’s Muse or Innovative Renegade? Lee Krasner was the best-known woman artist in the circle of Abstract Expressionist painters in New York City in the 1950’s. 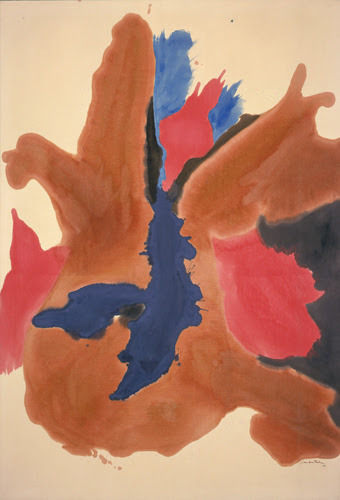 While men and women painted and exhibited side by side at that time, later in history the single representative of women Abstract Expressionists was always Krasner. Married to Jackson Pollock and a great supporter to his artistic development, she was an accomplished artist in her own right. Krasner became the torch-bearer of her husband’s legacy following his death at age 44 in an East Hampton car crash with his mistress. How did she manage to continue her own art-making and build a career? Her paintings are now considered an extraordinary view into the era’s zeitgeist. While tragic, Krasner’s story is redemptive and her re-known continues to grow to this day. 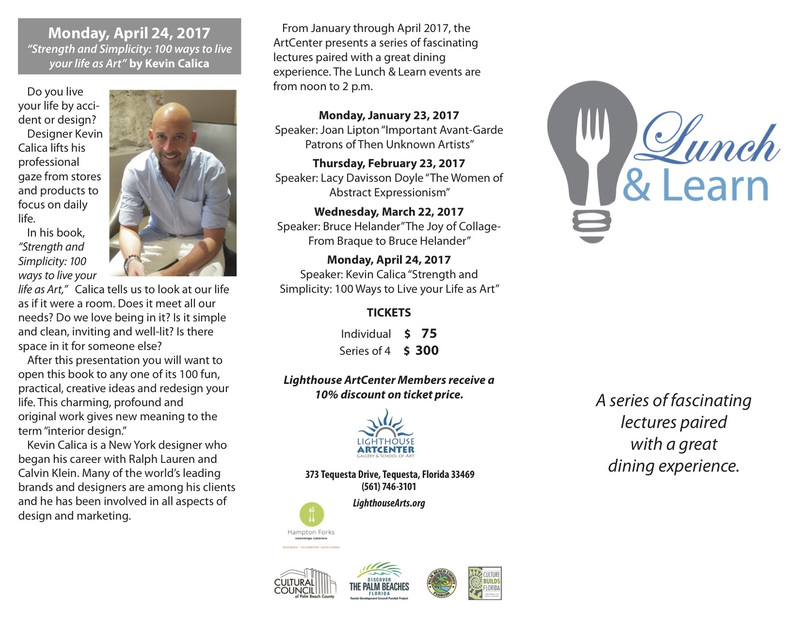 (includes a light lunch)RSVP required by calling 561-295-5712You are invited to lunch and listen to an exciting lecture by Lacy Davisson, formerly with The Museum of Modern Art, NY and Artforum International Magazine. 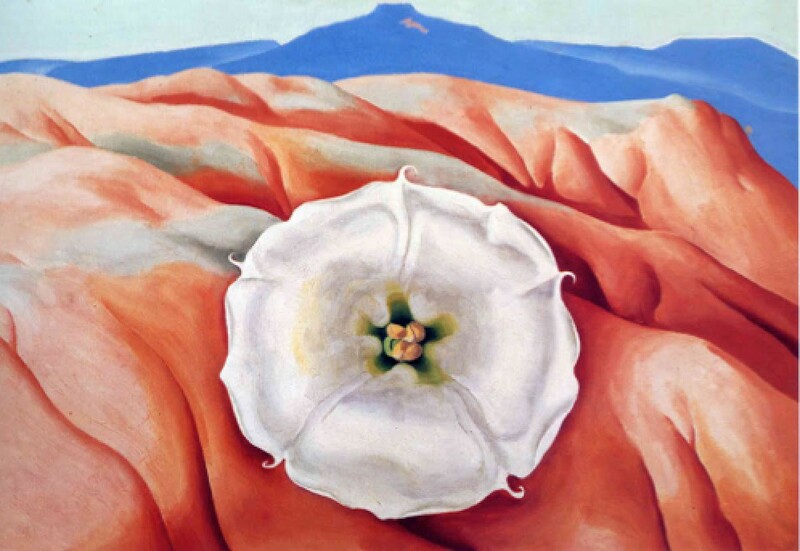 The focus of her lecture will be on the tradition of nature including flowers, plants, and landscape in Modern and Contemporary Art.This lecture was conceived after a visit to the studio of mid-career conceptual artists Doug and Mike Starn, and will include a discussion of their forerunners – the well-known artists Georgia O’Keefe, Marsden Hartley, and Charles Burchfield. Please join us for a stimulating talk on Henri Matisse and how his work has influenced contemporary artists working today. 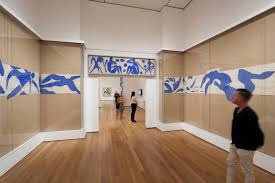 We will start with Matisse’s famous Cut-Outs including the Swimming Pool and his Chapel in Vence, France. Mid-twentieth century masters such as Abstract Expressionist Robert Motherwell and Bay Area artist Richard Diebenkorn owe a tremendous debt to Matisse and have studied his work closely. We will examine the process of collage, video and opera set director artist William Kentridge as well as Contemporary Master Jennifer Bartlett who looks to her garden for inspiration. Younger artists working today are looking at Matisse and gleaning inspiration from his masterworks, a review of four new artists to keep an eye on will conclude our discussion. Question & Answers will follow the completion of the lecture. Lacy Davisson Doyle examines recent trends and artwork by leading contemporary artists. Each session will look at the artist within their historical context as well as their influence on other artists. Lacy Davisson Doyle, founder of Artview NYC (artviewnyc.com), provides an in-depth and exciting overview of today’s art world. A graduate of Sarah Lawrence College with an M.A. from New York University’s Institute of Fine Arts, Ms. Doyle has more than 20 years of experience in the art world in New York, Paris and Milan. About Natalie Frank: Since completing her M.F.A. at Columbia University in 2006, Natalie Frank has been making a name for herself with energetic, visceral paintings that boldly embrace the liminal space between figuration and abstraction. A virtuoso painter and draftswoman, Frank is unique among her peers in her willingness to employ the traditional mediums of painting and drawing in the service of taboo themes. Focusing on the dialogue between flesh and spirit, the artist explores, in her own words, the parallel poles of “longing and desire but also disgust and fascination” that constitute humanity. At The Drawing Center, Frank applies her visual and psychological acumen to that most evocative and misunderstood of literary forms, the fairytale—specifically the original, unsanitized stories transcribed by Jacob and Wilhelm Grimm between 1812 and 1857. Only a few contemporary artists have worked within the fairytale genre; fewer still have systematically interrogated the complexity of these tales and the way in which they address social and sexual mores that continue to have relevance today. Natalie Frank: The Brothers Grimm presents twenty-nine drawings out of a total of seventy-five that Frank completed over a period of three-and-a-half years between 2011 and 2014. The drawings will be made in gouache and chalk pastel—the first time that Frank has worked exclusively in this medium—producing both gritty and luminous surface effects. Engaging the intersection between body and mind, reality and fiction, the series can be seen as a contemporary feminist reimagining of a symbolist legacy.Curated by Claire Gilman, Senior Curator. 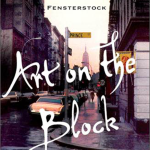 “Art on the Block: Tracking the New York Art World from SoHo to the Bowery, Bushwick and Beyond,” the recent book by Ann Fensterstock, is a fascinating tour of the last five decades of contemporary art in New York City. Ms. Fensterstock shows how artists, galleries and not-for-profits arts programs are catalysts of change and how neighborhoods in turn shape the art they create and exhibit. Stories of New York City’s fabled art scene conjure up artists’ lofts in SoHo, studios in Brooklyn, and block after block of galleries in Chelsea. But today, few artist can afford a SoHo loft, Brooklyn has long gentrified, and even the galleries of Chelsea are beginning to move on. “Art on the Block” takes the reader on a journey through the neighborhoods that shape, and are shaped by, New York’s ever-evolving art world. Based on interviews with more than 150 gallery directors, as well as the artists themselves, Ms. Fensterstock explores the genesis, expansion, maturation and ultimate restless migration of the New York art world from one initially undiscovered neighborhood to the next. Ms. Fensterstock has been an active participant in New York’s contemporary art world for over 25 years. She is a respected collector and serves on boards and committees at several important museums and nonprofits in New York City and Washington. Over the last 15 years she has lectured on contemporary art in and around the art neighborhoods of New York City and speaks regularly on art history topics. She holds social science degrees from British universities and a master’s in art history from New York University where she specialized in the modern and contemporary periods. She lives in New York City. Lacy Davisson Doyle, founder of Artview NYC (artviewnyc.com), provides an in-depth and exciting overview of today’s art world. A graduate of Sarah Lawrence College with a Master of Arts from New York University’s Institute of Fine Arts, Ms. Doyle has more than 20 years of experience in the art world in New York, Paris and Milan. Due to limited space, reservations are required for all Campus on the Lake lectures. For more information please call (561) 805-8562 or email campus@fourarts.org. This four-week course is an in-depth introduction to the key works and iconic figures of contemporary art, from its origins in the 1970s and moving both thematically and chronologically to the present. We will explore an array of renowned and provocative artists, as well as younger artists emerging onto the art scene today. This course follows the successful lecture series of the same title presented by Lacy Davisson Doyle previously at the Four Arts. The course will provide a foundation for looking at and understanding contemporary art in all contexts and venues. Due to limited space, reservations are required for all Campus on the Lake workshops and classes. For more information please call (561) 805-8562 or email: campus@fourarts.org. This is the art history class you dreamed about! 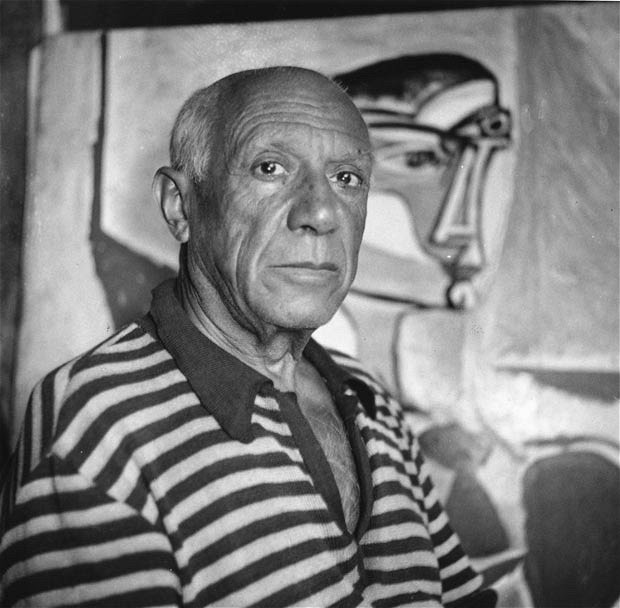 Lacy Davisson Doyle and Liz Ghitta Segall team up to bring you a combined art history and studio art course that will focus on Pablo Picasso and other artists in Paris experimenting with Cubism in the 1910s through the 1920s. Cubism is considered the first and the most influential of all movements in 20th century art. In Cubist work, objects are analyzed, broken up and reassembled in an abstracted form, instead of presenting objects from one viewpoint; the artist shows a multitude of viewpoints to represent the object in a greater context. Learn to view your environment differently. Unleash and reconnect with your creativity by creating two canvases in the Cubist style with Ms. Segall. The morning will be spent learning about the history of Cubism, and the afternoon will be hands-on learning how to truly see objects, breaking them down into shapes and putting them on canvas in an abstract manner. A full palette of paints, canvas, and brushes will be provided. Visit private artists’ studios in the Wynwood Arts District, Miami’s epicenter where art, fashion, design and the culinary arts intersect. During the month of November, Wynwood is abuzz with creative energy leading up to December’s Art Week when thousands of people descend on Miami for Art Basel Miami Beach and the satellite fairs. You are invited for a behind-the-scenes look at the artwork of several contemporary artists and will see their new creations firsthand before they leave the studio. We will focus on the Wynwood section of Miami, which is known as an international cultural destination and haven for artists and contemporary art galleries. Lunch will be at one of the local restaurants. Basking in memory of Miami’s art glow from last year, Lacy Davisson Doyle, art historian, contemporary art adviser, and member of the International Association of Professional Art Advisors, returns to lead us on a walking tour through two of Art Basel’s finest satellite shows. There are some 20 or more art fairs held during Art Week, the first week of December when thousands of collectors, dealers, curators, and artists descend upon Miami to experience the string of contemporary and high-energy fairs for which the city is known. We will have the opportunity to view a selection of the best in modern and contemporary art from more than 100 international art galleries and prominent art institutions. Paintings, sculptures, drawings, installations, photographs, and editioned work will be included by 20th and 21st century masters as well as newly created pieces by emerging stars. Breakfast and VIP view before the fair’s regularly scheduled public hours. Editions/Artists’ Books Fair (E/AB) is New York’s premier showcase for contemporary publishers and dealers, presenting the latest and greatest in prints, multiples, and artists’ books. The Fair is well known for its vibrant energy thanks to its innovative international exhibitors, and hundreds of artists shown. Founded in 1998 by Susan Inglett of I.C. Editions, in partnership with Brooke Alexander Editions and Printed Matter, the Fair is now presented by the Lower East Side Printshop, a non-profit organization. The fair was initiated with the intent to introduce a broad public to contemporary prints, multiples, and artists’ books. Sixteen years later the Fair continues to do just that.This year, the Fair is curated by Faye Hirsch, Contributing Editor, Art in America, gathering over 40 exhibitors from around the US, and Europe. We will be offering a very exciting new Bushwick Brooklyn tour of art studios, galleries and neighborhood highlights led by Ann Fensterstock, author of “Art on the Block: Tracking the New York Art World from SoHo to the Bowery, Bushwick and Beyond”. Stories of New York City’s fabled art scene conjure up artists’ lofts in SoHo, studios in Brooklyn, and block after block of galleries in Chelsea. But today, no artist can afford a SoHo loft, Brooklyn has long gentrified, and even the galleries of Chelsea are beginning to move on. Art on the Block takes the reader on a journey through the neighborhoods that shape, and are shaped by, New York’s ever-evolving art world. Based on interviews with over 150 gallery directors, as well as the artists themselves, art historian and cultural commentator Ann Fensterstock explores the genesis, expansion, maturation and ultimate restless migration of the New York art world from one initially undiscovered neighborhood to the next. Opening with the colonization of the desolate South Houston Industrial District in the late 1960s, the book follows the art world’s subsequent elopements to the East Village in the ‘80s, Brooklyn in the mid-90s, Chelsea at the beginning of the new millennium and, most recently, to the Lower East Side. With a look to the newest neighborhoods that artists are just now beginning to occupy, this is a must-read for both art enthusiasts as well as anyone with a passion for New York City. To pre-order the book, click here. 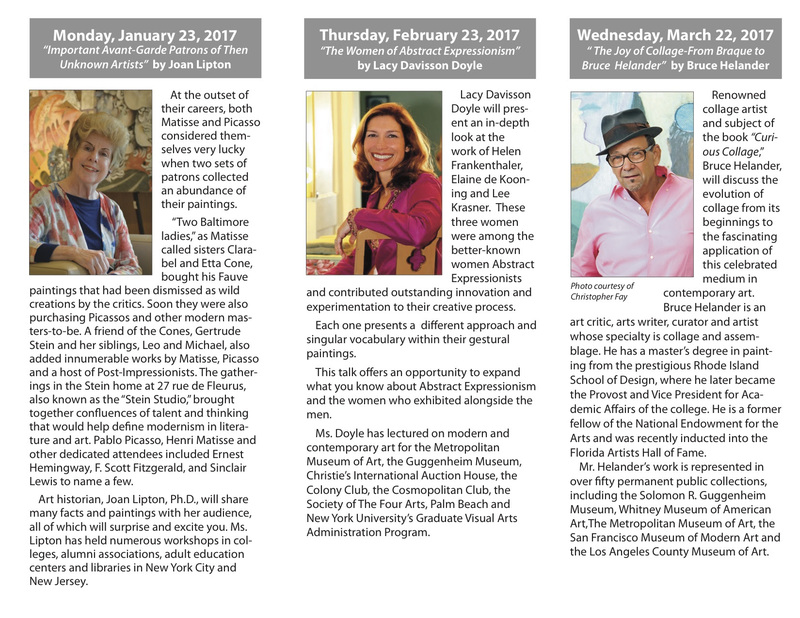 Please join us for a series of special art events offered by the Society of the Four Arts in Palm Beach, Florida this winter. Each December in Miami, NADA (the New Art Dealers Alliance) runs a renowned art fair to vigorously pursue its goals of exploring new or underexposed art that is not typical of the “art establishment”. NADA is recognized as a much-needed alternative assembly of the world’s youngest and strongest art galleries dealing with emerging contemporary art. It is the only major American art fair to be run by a non-profit organization. We will be offering a very exciting new Lower East Side tour of art galleries and neighborhood highlights led by Ann Fensterstock, author of Art on the Block: Tracking the New York Art World from SoHo to the Bowery, Bushwick and Beyond. Ann was recently featured in the Wall Street Journal in “Art for the City’s Sake”, an interview by Ralph Gardner Jr. To read the article, click here. Art on the Block takes the reader on a journey through the neighborhoods that shape, and are shaped by, New York’s ever-evolving art world. Opening with the colonization of the desolate South Houston Industrial District in the late 1960s, the book follows the art world’s subsequent elopements to the East Village in the ‘80s, Brooklyn in the mid-90s, Chelsea at the beginning of the new millennium and, most recently, to the Lower East Side. Based on interviews with over 150 gallery directors, as well as the artists themselves, art historian and cultural commentator Ann Fensterstock explores the genesis, expansion, maturation and ultimate restless migration of the New York art world from one initially undiscovered neighborhood to the next. To order the book, click here. Art on the Block tours the last five decades of contemporary art in New York City—showing how artists are catalysts to neighborhood gentrification and on the flip side, how those communities shape the art being produced there. From insights into the pivotal and moving works of Jean-Michel Basquiat to Cindy Sherman, and Jeff Koons, this is the story of how New York’s very fabric is influenced in large part by the ever evolving art scene—as it took over the East Village in the 80s, Brooklyn in the mid-90s, Chelsea at the millennium, and the Lower East Side more recently. With a look at what’s ahead and who’s next, this is a must-read for art enthusiasts everywhere. Based on interviews with over 150 gallery directors, as well as the artists themselves, Ann Fensterstock explores the genesis, expansion, maturation and ultimate restless migration of the New York art world from one initially undiscovered neighborhood to the next. We will be offering a very exciting new SoHo tour of art galleries and neighborhood highlights led by Ann Fensterstock, author of “Art on the Block: Tracking the New York Art World from SoHo to the Bowery, Bushwick and Beyond”. in Miami with Lacy Davisson Doyle on Friday, March 22, 2013. 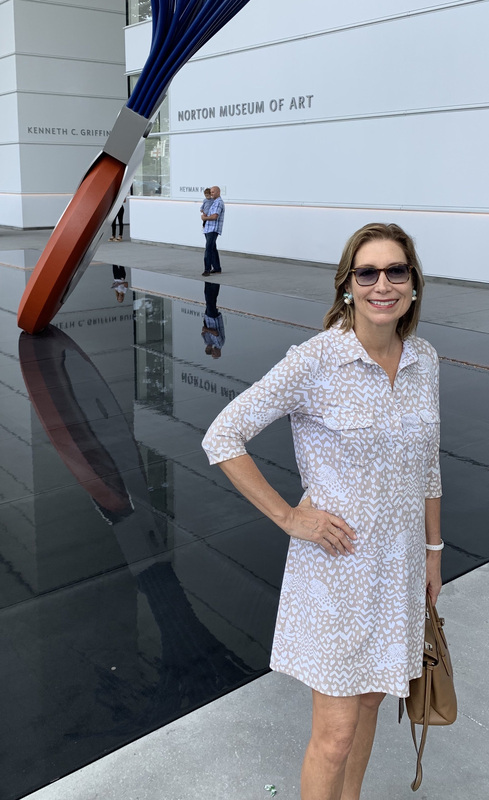 Basking in the Miami glow from last year, Lacy Davisson Doyle, art historian, contemporary art advisor, and member of the International Association of Professional Art Advisors returns to lead us on a VIP Tour of Private Art Collections in Miami. This full-day event will give art enthusiasts a curator-led, insightful view of some of Miami’s top contemporary art collections. Call (561) 805-8562 or e-mail campus@fourarts.org to make reservations and for more information. – Rescheduled on a new date! 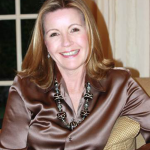 Founded in 1998 by Susan Inglett of I.C. Editions and Brooke Alexander Editions, the Editions|Artists’ Book Fair has grown in size and stature to become the premier showcase for contemporary publishers and dealers, presenting the latest and greatest in prints, multiples and artists’ books. The Editions|Artists’ Book Fair is well known for its vibrant energy and innovation, thanks to over sixty exhibitors, presenting hundreds of artists representing New York, Johannesburg, Amsterdam, London, Paris and points in between. Once a season we will offer a special scheduled tour or event, please check this page regularly to see what’s coming up. We will be offering a very exciting private seminar reviewing highlights of the New Museum exhibition followed by a visit to the New Museum at 235 Bowery on the Lower East Side. The 2012 New Museum Triennial will feature thirty-four artists, artist groups, and temporary collectives—totaling over fifty participants—born between the mid-1970s and mid-1980s, many of whom have never before exhibited in the US. The exhibition title, “The Ungovernables,” takes its inspiration from the concept of “ungovernability” and its transformation from a pejorative term used to describe unruly “natives” to a strategy of civil disobedience and self-determination. “The Ungovernables” is meant to suggest both anarchic and organized resistance and a dark humor about the limitations and potentials of this generation. For more information email veronica@artviewnyc.com or call 212 860-7780. The theme of the exhibition is paradise, spanning from depictions of ancient walled gardens and biblical Edens to more contemporary concerns about ecology and endangered natural resources. Gardens appear as sanctuaries – literal, imagined, sacred, and profane – as played out in various cultures, traditions, and historical ideas. Often there is a hint of darkness, a threat – like the snake in Eden. But the attraction of these lush, magnificent green spaces is powerful and undeniable. The show is a reprisal of an exhibition organized for the NYC Parks Department and presented at the Arsenal on Fifth Avenue in 2006. Proceeds to support Fighting Chance – education, counseling and advocacy for cancer patients/families on the East End. A private breakfast visit to the premier showcase for contemporary art publishers before the fair opens to the public. We will meet directly at the fair in Chelsea. 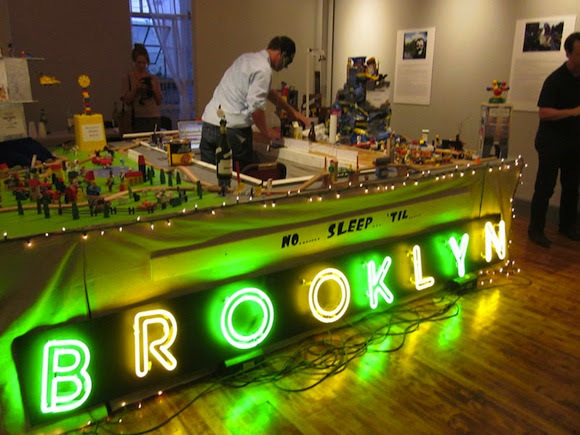 We will be offering a very exciting tour to Williamsburg in Brooklyn as a fundraising event for Momenta Art, www.momentaart.org, the nonprofit contemporary arts center. Several renowned artists who support Momenta’s program will open their studios to our group for a truly unique experience. Artview NYC will be donating proceeds of this tour to support their efforts. We will meet at Union Square in Manhattan and take the subway to Brooklyn together. The fee is $75 per person, for more information email veronica@artviewnyc.com or call 212 860-7780. The Armory Show is America’s leading fine art fair devoted to the most important art of the 20th and 21st centuries. In its eleven years, the fair has become an international institution. Every March, artists, galleries, collectors, critics and curators from all over the world make New York their destination during Armory Arts Week. We will meet directly at the fair in Chelsea. Space is limited, please reserve as early as possible.